The Hendrick Motorsports #48 Lowes Chevrolet was again piloted to the NASCAR Sprint Cup highest honours by now 5-time consecutive champion Jimmie Johnson. Picking up 6 wins through the process of the 2010 season, it appears on the surface that Hendrick Motorsports has a reason to celebrate. Despite all of the success of the #48 team, the other three teams in the popular Chevrolet-powered organization endured a very tough 2010 NASCAR Sprint Cup season. The Hendrick Motorsports drivers Jeff Gordon, Mark Martin and Dale Earnhardt Jr left this year winless on the Sprint Cup schedule finding solace in much smaller non- victory victories. 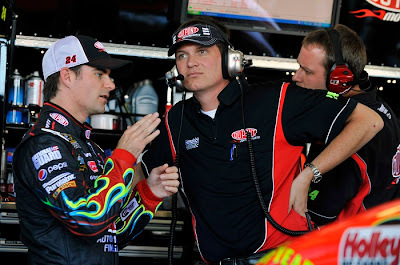 In a radical move to turn the #5, #24 and the #88 teams around, Hendrick Motorsports is prompted just two day after the end of the 2010 Sprint Cup season to swap crew chiefs for 2011. Matching crew chiefs with new teams, Hendrick Motorsports is also repositioning the team's amongst the two race shops. Moving, the #88 cars will join the #48 team while the #24 team will now be positioned with the #5 crew. Team Owner Rick Hendrick commented on the personnel change saying "This will improve us as an organization, across the board,". 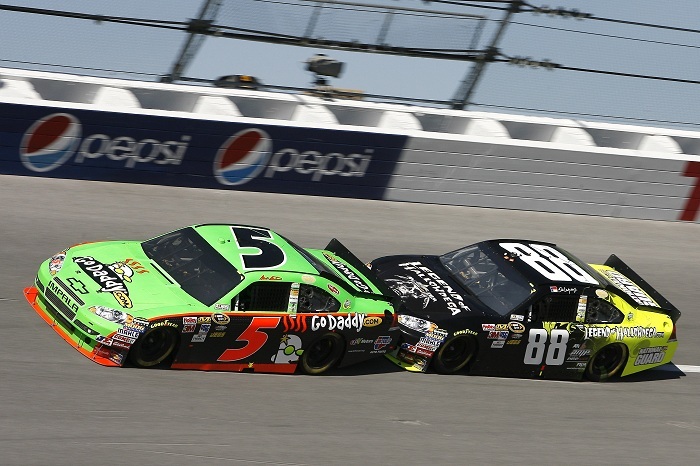 Concluding the year, the #5, #24 and #88 Hendrick Motorsports teams experienced mixed results. In 2010, Jeff Gordon was able in the Chase for the Sprint Cup hunt thanks to 10 top-5 finishes after the first 26 races. Maintaining 3rd prior to the Chase points realignment, Gordon was dropped to 8th starting the 10-race championship playoff. 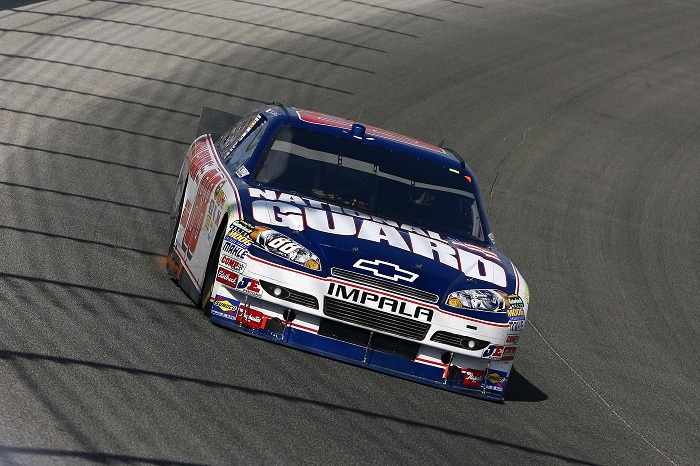 Through the 2010 Chase for the Sprint Cup, the #24 Chevrolet compiled only a single top-5 finish. Two additional DNFs in the final ten races left Jeff Gordon in 9th in the Chase after the Homestead-Miami finale. Winning 4 times in 2009 with his first season at Hendrick Motorsports, Mark Martin extended the time period between his planned retirement through this year and into the 2011 NASCAR Sprint Cup tour. Starting the season strong with his #5 Chevrolet by winning the pole for the Daytona 500, Martin and team were sent through a feast and famine campaign for 2010 resulting in 7 top-5s but suffered 12 finishes outside of the top-20. After only a slight chance of making the 2010 Chase, Martin missed the top-12 in points field but held on to 13th place in NASCAR Sprint Cup overall points. As for the #88 Chevrolet team of Hendrick Motorsports, the trouble plaguing the team and driver Dale Earnhardt Jr was evident. With a 2010 season which resulted in 21st in the overall points, this year adds to the frustration felt within the #88 team as well as among Earnhardt Jr's considerable fan base. Well-documented, the only win Dale Earnhardt Jr has achieved with the Hendrick Motorsports #88 car was at Michigan in June of 2008. Rounding off the season in 27th at Homestead-Miami Speedway, the writing was on the wall for Lance McGrew's departure after 16 finishes of 22nd or worse in the 2010 NASCAR Sprint Cup season. Another rough year for Earnhardt Jr, some positive Sprint Cup moments this season involved a front row start and 2nd place finish at the Daytona 500 as well as leading 90 laps most recently during the Martinsville event. The #88 Chevrolet also left the 2010 season without a single DNF. Dale Earnhardt Jr has most recently been complementary to McGrew for advances made with the #88 team but knew a change was approaching.